I am so fortunate to be working with such a wonderful group of teachers and administrator who want to continually learn ways to challenge our students’ learning. Through the support of school administration a review of needs assessment was done by striking a committee that included, the principal, Richard Kniel, LC Valerie Schamehorn two teachers Rae-Anne Wevers and Jill Worthington. The four of us were provided with the time to brainstorm and collaborate on ways to increase authentic technology use in the classrooms in order to increase student learning even more. Jill, Rae-Anne, Richard and I spent a full day discussing ways in which we could ensure that all staff feel competent with using Google docs, effective blog posts, Twitter and other pieces of technology and digital resources within our classrooms to support student learning in an innovative manner. We spent the day looking at and creating blog posts, tweeting out information, researching and discussing our own background knowledge as well as identifying what we still need to learn and what we will need to share with our colleagues. We identified ways that we could utilize the Learning Coach and Technology Lead Teachers to build capacity within our school. We looked at how we would tie our goals to the 5 Competencies of the Framework for Supporting Learning with Technology from Alberta Education. All teachers have a classroom blog that post at least once weekly. One on one training with every teacher and principal to support in starting and maintaining a blog. Comment on teacher’s blogs so that they know what they are doing. Share what is happening in Wabamun School with others. Learning Coach is trained to also support the work of teachers when learning to blog and establish authentic learning around the use of blogs. Continued work with George Couros, Division Principal of Innovative Learning and Teaching. All students have their own digital portfolio from grade 3-9. All teachers maintain and blog at least once a week to communicate with families and improve student learning. Our ultimate goal is to have all staff and students using technology effectively and innovatively. As we were winding up our day’s discussion, Rae-Anne commented that we were breaking down the classroom walls through technology use! What an inspiring day! Lesson Study: Teaching Students How to Self-Reflect and Develop Criteria! Recently, I had the opportunity to co-develop and teach a Lesson Study with two other teachers. We targeted two different Grade 8 LA classes with a lesson based on: “What makes a good quality how-to video”. The teachers and I established goals for the students: to identify the elements of a good how-to video and then formulate the criteria for creating one. We brainstormed ideas, found a variety of “How-To” videos, and created a lesson which I taught allowing the classroom teachers a chance to observe their students. Without being told that the how-to video they were about to watch was a poor quality product, the students were asked to use their critical thinking and determine the criteria for what was good and what was bad about the video. A T-chart was written up on the board allowing the students a chance to share their ideas and have a discussion explaining their thought processes. Then the class watched a second how-to video that was a very good one. They once again developed criteria sharing their opinions on the quality of the video. With guidance, the students began to develop the criteria for a rubric. From a teaching perspective, the lesson seemed to go fairly well, but the students were not as engaged as we had hoped. At break, the classroom teacher and I debriefed on how the lesson had gone. We recognized that part of the lesson needed to be changed in order for the students to remain more engaged and to get a clear understanding of how they were identifying, developing and eventually using criteria for a good quality “How-to” video. We tweaked the lesson. The next day the same class did a cooperative learning activity called Placemat where they took the criteria that they had identified for the rubric, watched another how-to video and individually recorded their comments on their portion of the placemat. They discussed their ideas with their group members, came to a consensus and then graded the video. Each group presented their criteria and reflected upon why they felt that way. Having me teach the lesson allowed the classroom teacher to observe her class and identify when her barometer student (a term coined by the Two Sisters from Daily 5) began to lose interest. She was able to see that the lesson was not as engaging as was necessary and recognized that we would have to shorten and change certain aspects in order for more on task time for her students. We reflected upon the lesson and, once again, tweaked parts of it to make it better for the students who I would be teaching later that afternoon. I checked in with the teacher of the afternoon class to show her where we had made changes and asked for her input with relation to her class. She agreed that the changes would suit her students. That afternoon I went into the second Grade 8 class and followed the revised lesson. The afternoon class had a barometer student who appeared to be kept more engaged because of the changes. The students were given the same opportunities for self-reflection and development of criteria for a good quality “How-To” video as well as group reflections and discussions. At the end of the day, the teacher and I were able to sit down and have a discussion on the successes of the lesson and any possible changes that would have to take place for future instruction. The Lesson Study was a great opportunity to collaborate with other teachers, interact with students, and to self-reflect. I look forward to seeing what the students will produce as they begin their own how-to videos based on the criteria that they developed with their teachers and their peers! What are all the possible ways for students to show what they know? How do you learn best? How do your students learn? What helps you remember? What helps your students remember? What kind of feedback helps your learning? What kind of feedback works for your students? Davies cites many pieces of research which state that students learn best when they are more involved in their learning and assessments. Student self-assessments help teachers design instruction to better meet the needs of learners (Anthony, Johnson, Mickelson & Preece 1991; et al.) Learning Coaches need to know how to support teachers in increasing their craft knowledge regarding assessment (Davies). Much of this is reinforced in UDL. 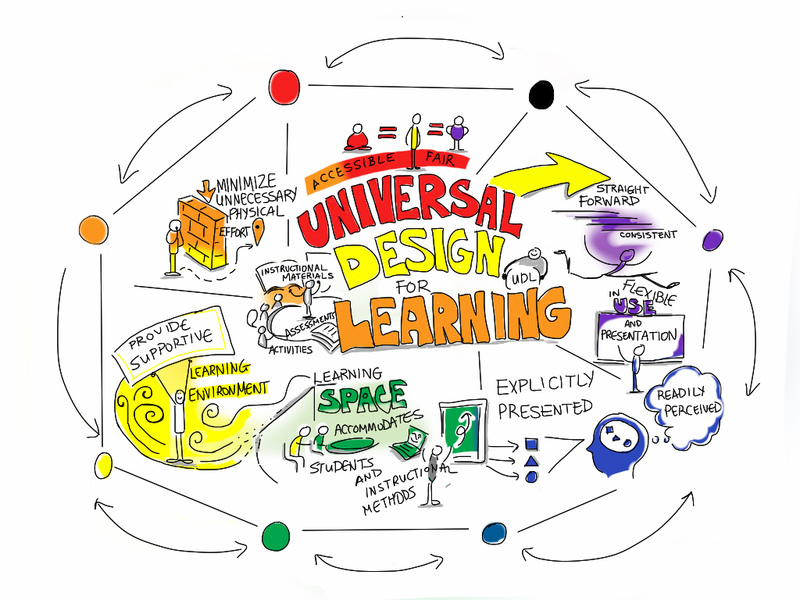 Universal Design for Learning is good teaching! Every teacher wants their students to learn and grow. 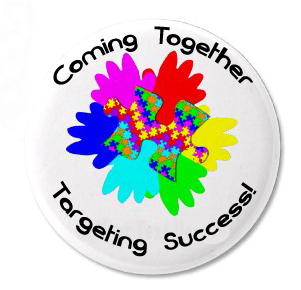 Universal Design for Learning guides teachers in their planning which, in turn, helps their students to learn better. UDL is a process which is broken down into three guidelines which provide multiple means of: Representation; Action and Expression; and Engagement. to support recognition learning -to provide multiple means of representation -offer flexible ways to present what we teach. to support affective learning – provide multiple means of engagement – flexible options for generating and sustaining motivation, the why of learning. Teachers need to get to know their students well so that they can develop activities and lessons that allow their students to express their understanding in ways that use the learning style that works best for them. As a Learning Coach, I have had the opportunity to teach lessons for teachers while they observe their students’ learning styles so that they can then develop lessons which will more effectively support student learning in their classroom. Of course there are activities that center on a specific learning style, however, that does not mean that all teaching of objectives should be presented in the same manner. Research states that approximately 65% to 70% of our population are visual learners, 25 to 30% are auditory learners while 5% are kinesthetic learners. Classes are made up of all three types of learners and these students need to have concepts presented in several ways in order for them to understand the objectives being taught. It takes 7 to 10 times of learning a new concept for it to be retained, so presenting the concept several different ways helps to support that retention. The teacher who reflects upon their own learning style and how they had been taught while they were in school will recognize the importance of presenting information in several different ways. Sometimes teachers have to adapt programming and may have to teach outcomes from previous years in order for their student to develop skills and acquire knowledge which may have been missed. This is part of UDL … being flexible in the student’s development by making sure that the teacher is starting the student at their point of learning. Flexibility is important in teaching because our students are individuals who come to us will many different needs that we as teachers need to meet – there is no average student. Pre-assessment is crucial to help teachers to identify the needs of their students and then plan accordingly. Having students recognize their style of learning is also valuable. If the teacher only allows one way of doing things, it is stifling student learning. If students know they are going to have success, they are more likely to be engaged. “UDL reduces barriers in instruction, provides appropriate accommodations, supports and challenges, along with maintaining high expectations for all.” Yes, it does mean that teachers should be planning more thoughtfully, but planning and refining of a final project can often be done with the students when developing criteria for an assignment. Asking your students what kind of project would best express their learning also develops their critical thinking skills — “How can you show me your understanding of this topic?” Allowing students to submit summative responses that use technology, creativity, linear thought, or speaking, shows our students that we understand their needs.This is not always easy to do. Being flexible in your teaching is important! As I read through Joellen Killion’s article on “Are You Coaching Heavy or Light?”, I realized that so much depends on the receptiveness of the teacher you are coaching. Some teachers are very eager to collaborate and will come to you with ideas, while others are somewhat stuck in their ways and try to avoid the coach. Teachers want to do what is best for their students, but sometimes it is difficult to change routines to accommodate this and bringing in a coach definitely changes those routines. Getting into the classrooms to work with teachers is imperative, so sometimes coaching light is the way to develop the trust that is needed. “Sometimes, in order to build relationships and establish their credibility, coaches may compromise their influence by engaging in tasks that have limited potential for impact on teaching and learning.” Once that trust has been developed, it will be easier to start heavy coaching. Of course the end result we all want is to develop and improve student learning. Looking at student learning is the most important aspect of coaching heavy. “Coaching heavy holds all adults responsible for student success and engages them as members of collaborative learning teams to learn, plan, reflect, analyze, and revise their daily teaching practices based on student learning results.” Coaching heavy can help teachers to reflect more, as to whether it was a successful lesson or a lesson that needs more tweaking. Some teachers are able to do this more naturally, while others may need a coach to get them there. The comments of the teachers of Walla Walla who saw coaching light and heavy as a “spiral with each revolution focussing more finitely on the target” made sense to me and is more aligned with how I see coaching happening. Blending the heavy and light to narrow the focus so there is an impact on both teaching and learning is key.